Women entrepreneurs are on the rise, and they are leaving their footprint on the nation’s economy. In 2012, the U.S. Census Bureau reported an estimated 9.9 million women-owned firms, 35.8 percent of all U.S. firms classifiable by gender, and the total estimated receipts from those firms was $1.4 trillion. Nevertheless, women-owned businesses are still an underrepresented segment in the economy and require support for their continued growth. The National Women’s Business Council (NWBC) is providing insight on how federal and regional stakeholders can help. In April of this year, the NWBC released Entrepreneurial Ecosystems & Their Service of Women Entrepreneurs, a research report conducted with Washington CORE, which analyzes local entrepreneurial systems to identify influential actors and mechanisms that aid, or present a barrier to, the support and growth of women-owned businesses. entrepreneur establishes and grows her business,” helping us understand the resources she can leverage, as well as gaps within the economy that may hinder her. In today’s competitive business arena, a minute detail or decision can mean the difference between long-term success and immediate failure. 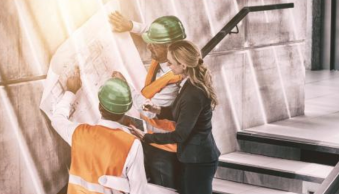 In the real estate industry, where networking and connections play such a significant role in business performance, what you and your business connote is particularly vital. As a professional in this highly competitive marketplace, not utilizing the business classifications at your disposal is an oversight. A strategy as old as the industry itself is tailoring to your community. You must play to your strengths, and increasing your business’s appeal to a particular market including potential homebuyers is essential. For women business owners, the utilization of women-owned business classification is vital. According to 2014 Census Bureau data, there are currently 18,057,000 female homeowners in the United States. As women make advancements in their careers and their wages grow in parity to those of men, women’s homeownership will continue to grow. With this extended buying power, we are seeing the emergence of more women homeowners and a specialized niche for real estate professionals. This growing market is evidenced in the fact that 10 million American women homeowners live alone. If you want to create a startup, there are specific tactics you should utilize. Whether your goal is to make it easier for consumers to invest in real estate, or to create a program that allows homebuyers to better find what they are looking for, the following tips will help. 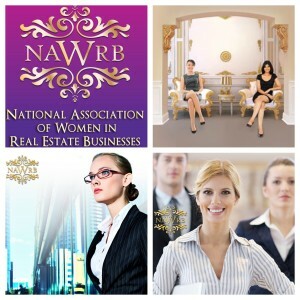 NAWRB is looking for a Social Media Assistant to be the face of SHE is Changing Real Estate! The National Association of Women in Real Estate Businesses (NAWRB) is the most visible women’s trade association specializing in the housing economy. NAWRB is dedicated to providing women the tools and opportunities for economic growth and expansion, while advocating and promoting women-owned businesses specializing in the housing economy. NAWRB is also the only third-party industry-specific certifier of Women-Owned Business (WOB) and Minority Women-Owned Business (MWOB) specializing in the housing economy. By utilizing its presence in Washington D.C. and consultations with the Office of Minority and Women Inclusion (OMWI), the Small Business Administration (SBA), the National Women’s Business Council (NWBC) and other organizations, NAWRB acts as a resource base between members and government contracting, new business opportunities, marketing, and business training. NAWRB is looking to add a part-time Social Media Assistant to our team! You’ll act as a front-line brand manager by interacting with supporters and members in real-time across web platforms. The right candidate for this $13 an hr position will have excellent verbal and written skills, the ability to work with cross-functional teams, and be a self-starter. This position will be based in our Orange County office. Work with Social Media Manager to create cutting edge social media campaigns and calls-to-action that engage and drive people to specific websites and articles. Spend time on Twitter/LinkedIn/Facebook/Instagram/Pinterestevery day to engage with our target audience and share content, grow followers, and improve overall engagement. Holistically manage our LinkedIn and Facebook “members only” Groups to create added value. Participating in real time online conversations by answering questions, offering solutions, and facilitating discussions to create content for feeds. Engaging with top leaders within the industry on their social media platforms in addition to commenting on behalf of NAWRB on popular industry articles. Prior experience in advertising, public relations or online marketing is preferred. Knowledge of the housing economy and/or government issues is a plus. Please submit resume, one formal writing sample at least 1 page in length (i.e. excerpt of college paper, article, case study, etc. ), and either your personal or professional social media portfolio to info@www.nawrb.com. Are you following the NAWRB Financial Fitness Road Show? NAWRB partnered with the U.S. Small Business Administration (SBA) Santa Ana District Office to present the Women in Housing Financial Fitness Road Show in July at the Lutron Experience Center in Irvine, CA. NAWRB’s Inaugural Women in Housing Financial Fitness Road Show is a first-of-its-kind, breakthrough program for women in all industries within the housing economy. 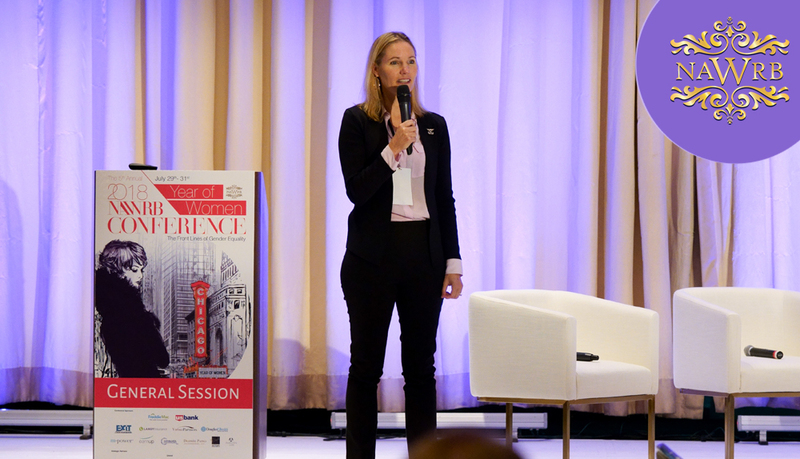 More than just tools to navigate women’s existing business through the changing terrain, the Women in Housing Financial Fitness Road Show reached an entire new level. Utilizing a specialized hybrid of women in housing and women in government outreach, women can take advantage of NAWRB’s Fast Track niche. 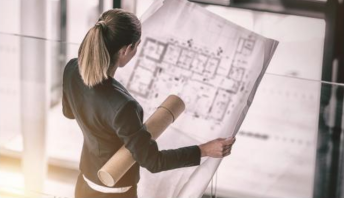 By connecting women with federal and local programs, set-asides, funding options and contracting opportunities available to grow their businesses both vertically and horizontally, women in housing will have the awareness to sustainable growth and live beyond commission-to-commission. Morgan Stanley hosted the Road Show and provided its wealth of knowledge to attendees. Vivian Afriyie, a Morgan Stanley Wealth Advisor, opened the event in dramatic fashion showcasing assets explaining the often missed difference between asset-based loans, traditional income, and credit-based loans. Morgan Stanley has crucial experience, having just closed a 150 million dollar commercial real estate loan in 6 weeks. “Bringing the shock treatment with our takeaways from $25,000 SBA business loans to the $200 million dollar Morgan Stanley Diversified Securities for clients, really ignited the awareness in the room,” stated Desirée Patno, CEO and Founder of NAWRB. The excitement for the event is rapidly growing as respected agents, suppliers, and other professionals in the housing industry look forward to learning the opportunities and resources available to them on behalf of multiple federal agencies and organizations. The Women in Housing Financial Fitness Road Show is the first in a series of nationwide road shows that will travel to major cities. Do you want to attend this dynamic Road Show or have it travel to a city near you? Contact Roadshow@NAWRB.com for more information on being a part of the movement to bring awareness, opportunities and access to women in housing.